I just had a bad experience this week and I want to share it with you because I want to emphasize the value of giving your customers what they need and treating your customers well. You see, I had to rent an SUV since I was going up to Orlando, Florida and needed an extra ride. So, I went to a site www.carrentals.com, which I’ve always had a great experience with. I went to this third party company they referred me to (where I went for a cheaper one) called E-Z Rent a Car. But one thing I can tell you is that there is nothing easy about renting a car with them. It was a horrible and terrible experience. 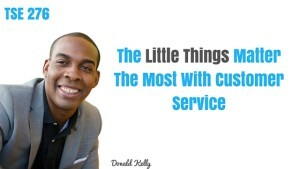 And you see, there are simple things that can bring great customer service. It comes from the small things. 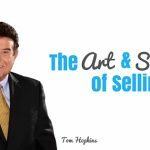 Everyone is in the business of sales. Make sure you treat people the way they want to be treated. Treat them well. Personalize it and take care of them. Just be a human being. When I went to their customer service desk to get help, they made me feel like I was bothering them or wasting their time for trying to give them business. Take time for the customers. When we went to the car, the guy responsible for collecting the paperwork was busy in another trivial conversation with an employee. So we had to wait until he was done. Educate your customers on your offers. A guy was trying to sell us a SunPass, a prepaid toll program, but they didn’t explain anything. I refused the offer and what I got from it was that it was like my loss for not going with them. We would’ve gotten it if they had explained it well. Be mindful of the customer. If your customers speak English, speak English. The employees there were conversing in another language. You have to treat your customers with respect by not speaking a language they don’t understand. Let them know they are important to you. When I went to get the car, it was dirty. Worse, the inside wasn’t clean at all. Worst of all, there was no gas in the vehicle. They over promised, but under delivered. If you tell your customer you deliver the product in 3 weeks and deliver it in less time, your customers would really appreciate that. Exceed their expectation.